Why the very trend that liberated us professionally could also hinder our productivity. Since the 1970s, we've come a long way as office workers. But according to new research from the Centre for Economic and Business Research, we've still got more in us. Despite worker productivity being five times greater than it was in the 70s, it is predicted to rise a further 22% between now and 2020. 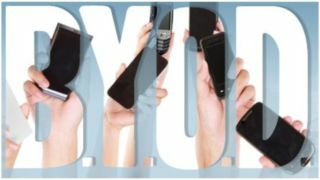 This is thanks in part to a huge the BYOD trend as we use laptops, mobile phones and tablets to stay connected and get things done. However – as Spiderman's Uncle Ben says – "with great power comes great responsibility". With all of these resources available to workers, employers will be expecting much more output per hour from them than before. If not properly regulated, it becomes very easy for the lines between work and home life to become blurred. Then, the very technology which is supposed to liberate us becomes the very same which keeps us chained to our work and stops our brains from unwinding. It's an equation that could lead to disaster. Individuals use numerous and various ways of managing how they work – email, IM, enterprise social media etc. When that gets compounded in a team (or several teams!) that's a lot of information being received, managed and processed from all angles. It can be hard enough keeping tabs on multiple teams, let alone keeping abreast of the separate tools and processes they all use. To combat this, try and find a tool that works universally across all of your teams and set up multiple accounts on that. For example, if Mindjet's MindManager worked for all your teams, why not get everybody to use that; then simply set up maps for each of your teams? That way, you can keep everything in one place, but still separate enough to avoid overlapping. The growth of smartphone and tablet technology is a double-edged sword. Whilst both of these – along with laptops – help us to work flexibly, it is very easy for us to fall in to the habit of checking work emails even when we're not working. This is actually counter-productive, suggests Dave Coplin, Microsoft's chief envisioning officer, as he says: "Technology has become the prison in many cases. Many people feel chained to their email [and feel they] must empty it - when in reality that's just the process of work, it's not work itself." This is certainly true at home when you find yourself checking your email but not able to action anything. You simply acknowledge the email and think about it all evening until you get in to work the next day. Having a break from technology is important: it gives your brain a chance to switch off and reflect, rather than react, to things that have happened throughout the day. Whilst this may sound difficult, it's easier than you think. Most smartphones have the option to change how often your email syncs. Turn push notifications off and – if your phone has the option to – set your peak email time to work hours only, so it stops updating your inbox automatically. Of course, despite our over active brains, it's generally good that this sort of technology exists. As every good worker knows, occasionally real life gets in the way of work. Whether it's the weather or a badly timed doctor's appointment, occasionally we simply can't make it in to the office. Without technology and the ability to work remotely, we'd be chained to the office more than ever before. If we're to become 22% more productive by 2020, we need to make sure that we don't saturate our attention span before then. It's important to remember that we've only got a finite amount of attention, and we need to use it carefully – this means making sure that you are the master of your technology, not the other way around!